This msg has No Fat, No cholesterol n No Addictive. Wishing u a day soft as silk…white as milk…sweet as honey & full of money. May all ur dreams come true… Happy B’day 2 U! May all ur days b filled with happy memories & flowers, friendship & happy hours. Happy B’day! Sending b’day blessings filled with love & peace & joy, wishing sweetest thing happen b4 ur eyes. Happy B’day. Flying Papers, multi colored balloons, dedicated blossoms and fantastic people – what it describes? Happy B’day! A birthday is a million moments. Each holding a promise of fulfillment of ur dreams & accomplishments of some special plans…Wish a very Happy B’day! A birthday is a million moments. Wish a very Happy B’day! Its a nice feeling when u know that some1 likes u, some1 thinks about u, some1 needs u. bt it feels much better when u know that some1 never 4gets ur b’day .Happy Birthday! A prayer: to bless ur day. A wish: to lighten ur moments. A cheer: to perfect ur day. Happy B’day! Wish you a many many happy returns of the day. 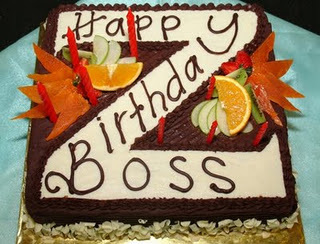 May God bless you with health, wealth and prosperity in your life Happy Birthday to you! Somebody up there loves you, Somebody down here cares for you. Happy Birthday!!! This msg has No Fat, No cholesterol n No Addictive. This is all natural except, with a lot of sugar. But it can never be as sweet as the one reading it. Happy Birthday! wealth and prosperity in your life Happy Birthday to you!